One of the eternal questions for collectors is trying to figure out what a toy or other rare item might be worth. On the TV show “Pawn Stars,” viewers got a look at how that value changes based on whether you’re a buyer or a seller. Johnny Jimenez Jr., one of the hosts of the show, is an inductee of the Pop Culture Hall of Fame for those lessons and other reasons. “Pawn Stars” focused on all kinds of unusual vintage items, but toys were frequently featured on the show. Such interest played well into Jimenez’ other line of work, running a toy store. 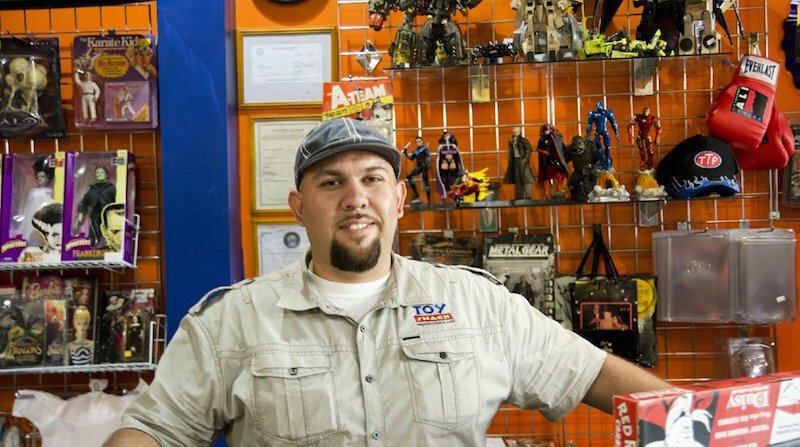 Jimenez is also the owner of Toy Shack, an amazing toys and collectibles shop in Las Vegas. In fact, the Toy Shack is one of those Vegas destinations for people who don’t want to gamble or see an expensive show. In addition to new toys, Toy Shack sells vintage items, especially toy lines from the ‘80s and ‘90s. The store also features several vintage arcade video games, which can be a lot less expensive than playing slot machines. There’s also a working Zoltar machine in the store for good luck. Because of his dual tracks to collecting fame, Jimenez is popular at all kinds of collector conventions, be they comics, action figures, or any other toys.